When I was little, the Sam's size Country Time powered lemonade mix was a staple in our pantry. It was perfect to mix up on summer days or for impromptu lemonade stands. Lemonade is something that has sort of escaped my radar, it's super underrated I just always forget about it. My lavender cupcakes sent me on a lavender high. While running into a friend the other day she told me how she likes to make lavender lemonade and even went to a lavender festival out in the boondocks of Oklahoma once! 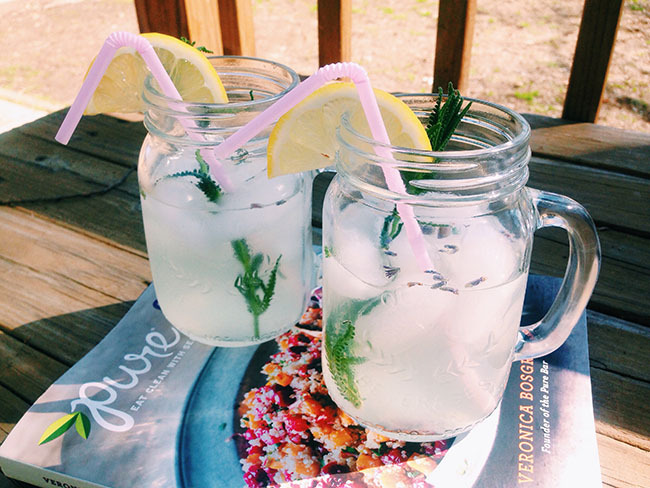 Lavender lemonade struck my taste buds and I knew I needed to search for a recipe. Little did I know, a recipe was right under my nose. My newest blogging for books cookbook came in a few weeks ago. This time I selected Pure Food written by the founder of Pure Bars, Veronica Bosgraaf. Veronica cooks clean, plant-based food in a simple way that anyone can enjoy. I love how she splits the cookbook up by each month. This recipe for homemade lemonade was found in the June section! I love how this lavender lemonade turned out and I promise it's as easy as the powder stuff minus all the additives! In a pitcher combine cold water and lemon juice. In a food processor or blender, process your sugar for just a few seconds to get it superfine. This will allow it to dissolve easier. Take your lavender and roll it on a cutting board to get the aromas activated. Chop the sprigs roughly and add to the pitcher. Let all the flavors combine and chill in the fridge. 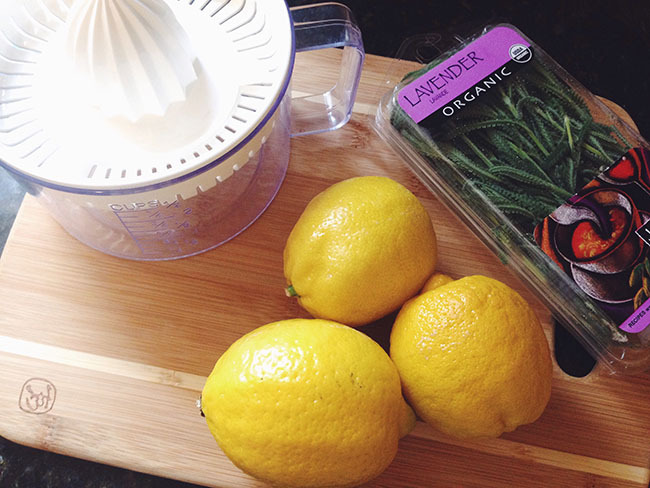 Serve your lemonade over ice with a sprig of lavender and a lemon wedge! I easily found my lavender at Whole Foods, just look next to the other fresh herbs. I have a feeling a pitcher of this lavender lemonade is going to be a new staple in my fridge this summer! Take a sip! I received this book from the Blogging for Books program in exchange for this review. If you are also a blogger make sure to check out their site on how you too can start Blogging for Books!